Jim Williams lives in Smyrna and is a volunteer legislative ambassador for the Georgia Alzheimer‘s Association for U.S. Congressional District 13. 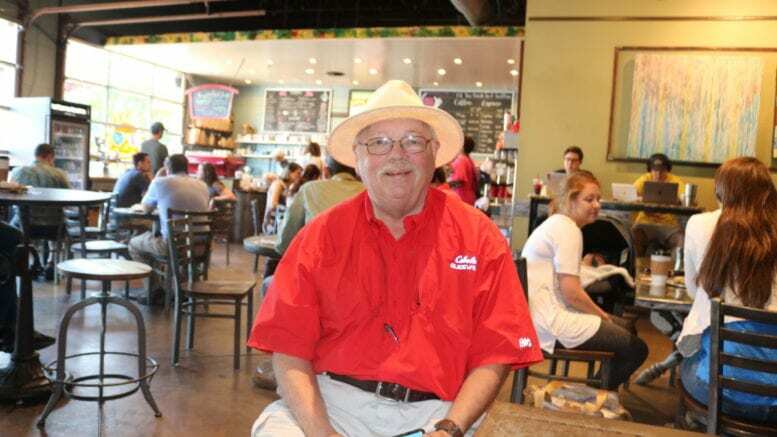 We met in the popular Smyrna coffee shop Rev Coffee Roasters last Friday morning and he gave an account of what his organization is doing to improve the lives of people with Alzheimer’s disease, and their families. He outlined both the direct services the Alzheimer’s Association provides and its legislative priorities. “The association offers services, referral services, support group services, a helpline that reaches out nationally to any families or anyone that has questions about the disease. And they operate the helpline 24/7, which is a great service to the community. Everything the association does for the general public is free of charge,” he said. The current legislation the Georgia Alzheimer’s Association is supporting is House Bill 4256, known as the Bold Infrastructure for Alzheimer’s Act. Williams said that the congressman representing his district, David Scott of District 13, had signed onto the bill as a cosponsor and that the Alzheimer’s Association is working on getting Georgia’s two senators, Isakson and Perdue, on board with the Senate version of the bill. So far 50 U.S. Senators have signed onto the bill. Williams gave some statistics on the impact of Alzheimer’s disease, nationally and in Georgia. Be the first to comment on "Jim Williams: Alzheimer’s Association legislative ambassador"